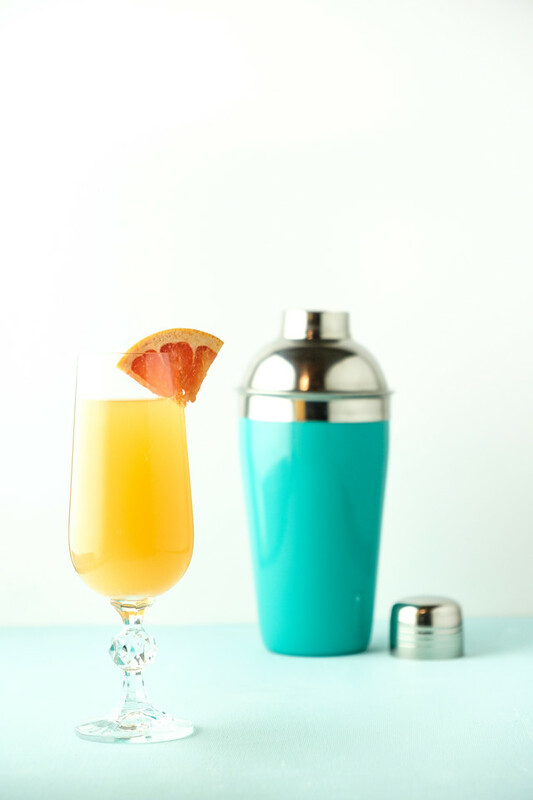 Grapefruit Mimosa – Grapefruit juice and sparkling wine make this an easy and elegant cocktail! Perfect brunch cocktail or I also love it on New Year’s Eve or any day that calls for a celebration! 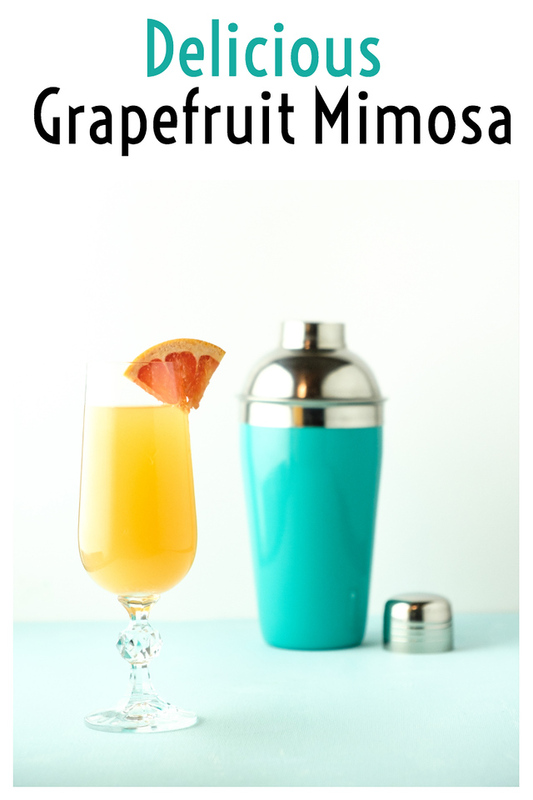 Click here to pin this Grapefruit Mimosa now! You know what’s a shame? That we primarily only have mimosas at brunch. Oh I get it. It’s made with orange juice and orange juice is for breakfast. Champagne is not for breakfast unless you just won an Oscar last night. Mix a little orange juice with your champagne and now you have a completely acceptable breakfast cocktail! Mimosas (check out this roundup of 10 Mimosas) are definitely my drink of choice at brunch, since I am not a huge Bloody Mary fan. But they are such a fun, festive and tasty drink, I’m pulling them from brunch duty and making them an anytime of day cocktail. Like this Tangy Grapefruit Mimosa. This is the perfect cocktail for New Year’s Eve. Something festive. Yes, you could just drink plain champagne or sparkling wine, but with a little grapefruit juice added, it becomes a little more special. What I love about mimosas is that you can be naughty or nice. Completely play with the ratio. Feeling naughty? Use more champagne. Feeling nice? Use more juice. Since I usually start drinking around 8-ish on New Year’s Eve and I try desperately to stay up until midnight, I usually go with the nice version. I had a ratio of 3 parts juice to one park sparkling wine. I used regular grapefruit juice, but pink would be so pretty for Valentine’s Day! An Aperol Spritz is another sparkling cocktail that uses prosecco and a Negroni Sbagliato uses any sparkling wine and if you’re in the mood for a champagne cocktail, the French 75 Cocktail is a classic. Grapefruit juice and sparkling wine combine to make this delicious, elegant, and easy cocktail! Pour grapefruit juice into chilled Champagne flute. Top with Champagne or sparkling wine. Garnish with grapefruit wedge. So pretty! I really like your idea of serving pink grapefruit juice in the mimosa for Valentines day. What a fantastic brunch cocktail! Cheers! Love the presentation and color to this Grape fruit drink. It looks so refreshing too. Great for a party. These look so refreshing. I can just imagine sitting outside in the sun with one of these. I’m not a bloody Mary fan either. Did you use plain or pink grapefruit juice?